Give yourself a bit of retail therapy at Lincoln Road and Dolphin Mall. Your itinerary includes some good beach time at South Beach and Haulover Beach Park. 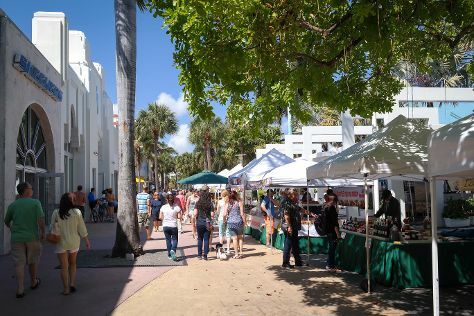 Get out of town with these interesting Miami Beach side-trips: Everglades National Park (Shark Valley, Osceola panthers, & more), Fairchild Tropical Botanic Garden (in Coral Gables) and Hollywood Beach (in Hollywood). There's still lots to do: buy something for everyone on your list at Sawgrass Mills, examine the collection at Vizcaya Museum and Gardens, explore and take pictures at American Airlines Arena, and don't miss a visit to E Las Olas Blvd. For where to stay, traveler tips, maps, and other tourist information, refer to the Miami Beach online route builder . If you are flying in from Italy, the closest major airports are Miami International Airport, Fort Lauderdale Hollywood International Airport and Palm Beach International Airport. In February, daily temperatures in Miami Beach can reach 30°C, while at night they dip to 21°C. Wrap up your sightseeing on the 28th (Thu) early enough to travel back home.